TM4 is a subsidiary of Montreal-based electricity producer Hydro-Quebec. TM4 makes electric motors and other components for electric passenger cars, trucks and buses. Supplier Dana Inc. is buying a majority stake in Canada’s TM4 Inc. for C$165 million (US$127 million), allowing the U.S. automotive supplier to become more vertically integrated in producing components for electric vehicles and to increase its reach in China. 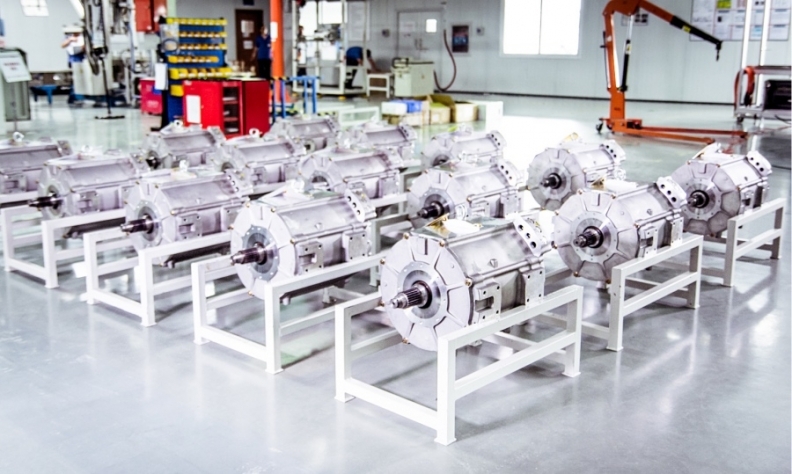 Dana, based in the Toledo suburb of Maumee, Ohio, already makes electric gearboxes and thermal-management technologies for batteries, motors, and inverters. TM4 is a subsidiary of Canada’s largest electricity producer, Hydro-Quebec, based in Montreal. TM4 makes electric motors, power inverters, and control systems for light vehicles as well as for commercial vehicles, marine, mining, rail, motorsports, and recreational-vehicle applications. Hydro-Quebec retains 45 per cent of TM4, based in Boucherville, Que. TM4’s current management team and its 130 employees remain in place, the companies said in a joint announcement. The new TM4, a 55-45 joint venture between Dana and Hydro-Quebec, also includes a 50 per cent stake in Prestolite E-Propulsion Systems. PEPS is a joint venture in China between TM4 and supplier Prestolite Electric Beijing Ltd. that was formed in 2012. The China joint venture makes electric motors, inverters, generators and vehicle control units for electric buses and trucks, plus marine uses. In 2015, Zhongshan Broad-Ocean Motor Co. acquired Prestolite Electric, based in Plymouth, Mich.
On a global basis, buses and medium-duty trucks represent a huge opportunity in terms of electrification, Dana said in a presentation that accompanied the announcement. Electric and hybrid powertrains account for about five per cent of medium-duty trucks today versus an estimated 20 per cent come 2023, Dana said. For buses, electrification is expected to grow to 45 per cent from 25 per cent in the same time frame, the company said. At the same time, electrification for passenger cars is expected to grow to around 12 per cent from three per cent today; for light-duty trucks, that number will grow to about three per cent from less than one per cent today, Dana said.